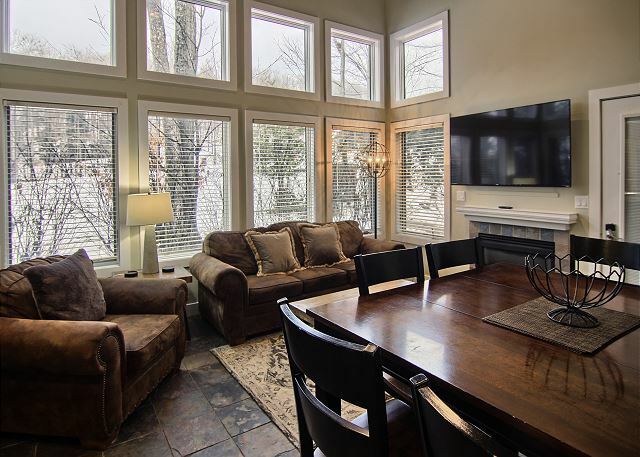 Another View of the Spacious Living Room with 65 inch Flat Screen Smart Television, Queen Sofa Sleeper, Dining Table, Gas Fireplace, Amazing Wall of Windows Overlooking the Boyneland Ski Run, and Slate Floors. Bathroom on Main Level, Next to Second Bedroom, with Granite Counter, Slate Floor, and Full Shower. En Suite Bathroom for Third Bedroom with Granite Counter, Slate Floor, and a Combination Bath Tub and Full Shower. 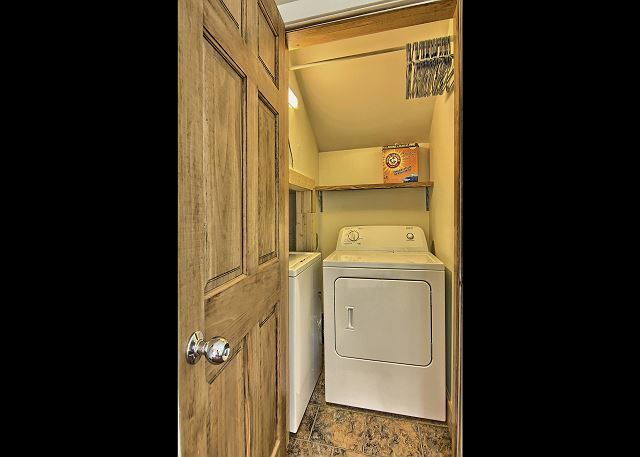 The private Washer and Dryer is an Exclusive Feature of this 3BR Disciples Village Condo. 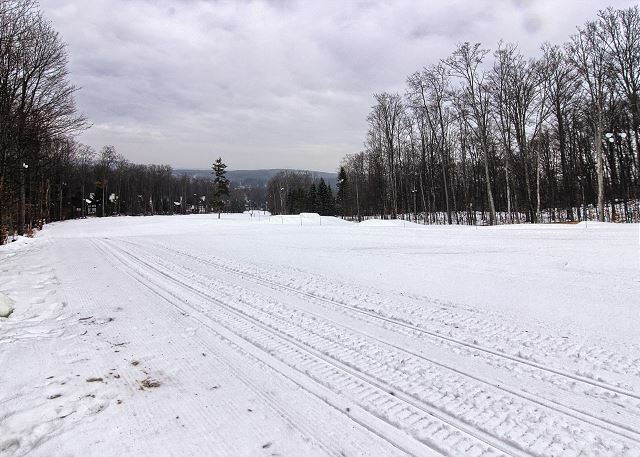 Welcome to King of the Hill, Arguably the Best Location in all of Boyne Mountain Resort - You are the First Condo on the Left when Skiing Down Boyneland. 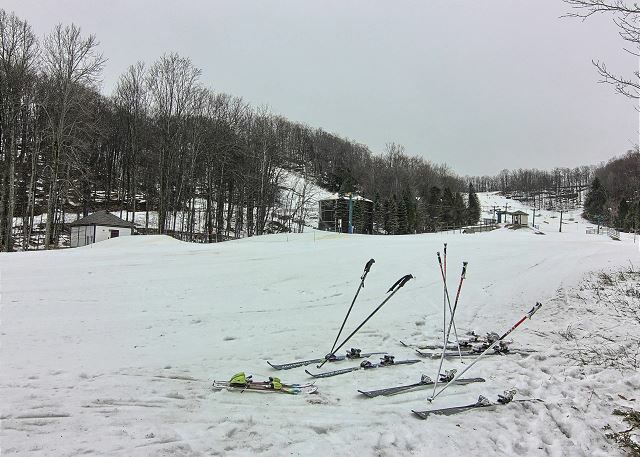 Ski In/Ski Out Access at its Very Best at Boyne Mountain Resort. 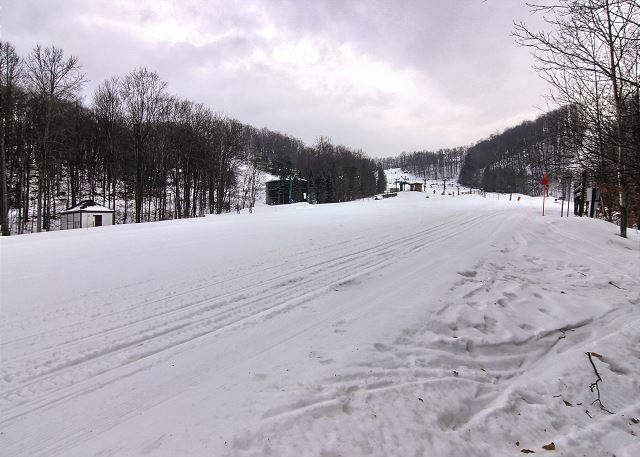 Welcome to Gorgeous Disciples Village in Boyne Mountain. ARGUABLY THE BEST LOCATION ON BOYNELAND!!! There are too many wonderful things about this unit to say! 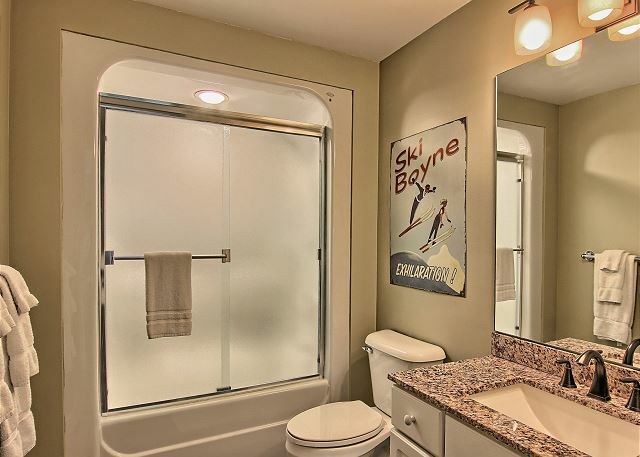 This 100 % slope side truly SKI-IN/SKI-OUT condo is on BOYNELAND. It has 3 bedrooms, 3 bathrooms, master suite has king bed, second bedroom has two queen beds, and 3rd bedroom has two queen beds. 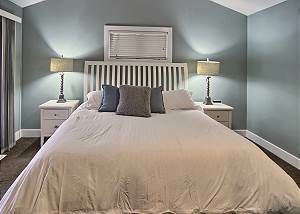 (Note: The basement is a two bedroom condo with an additional full kitchen and laundry area extending the sleeping capacity to 20 if rented separately - it's unit 691 on our website). 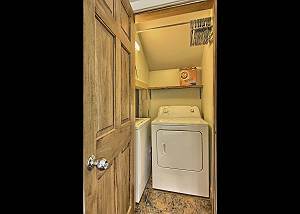 This is one of the RARE upper disciples village condos that has a washer and dryer in it! It also offers a dedicated private WiFi to its guests so no more sharing the internet with the rest of the resort! There is a 65 inch flat screen in the living room. All the bedrooms have new flat screen TVs. The living area and one bedroom have DVD players. Note: The condo has quite a few steps to get up to it as its the King of the Hill and located directly on the slope! 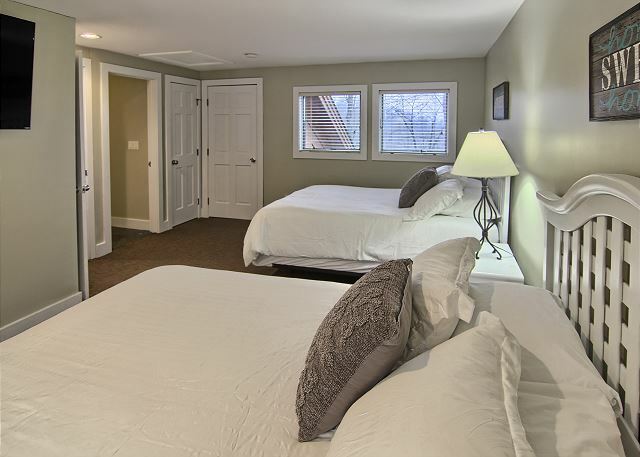 Great place to stay with your family for the best access to ski in ski out. The place is updated and very nice. 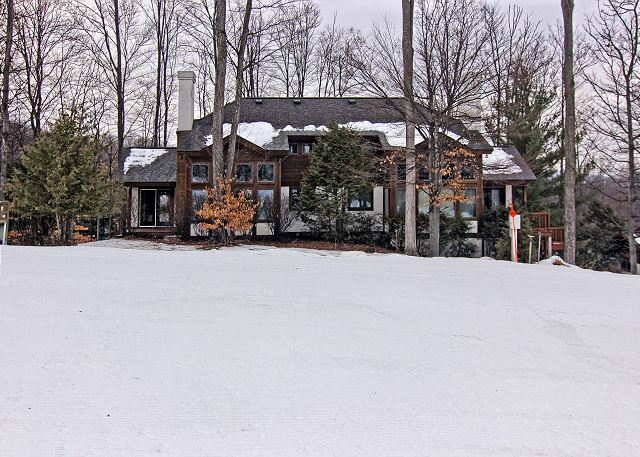 You can’t rent a better place in Boyne for this kind of slope access. Condo was perfect for our stay over the long holiday weekend. We stay in Disciples Village several times a year and would say this is the best to date. 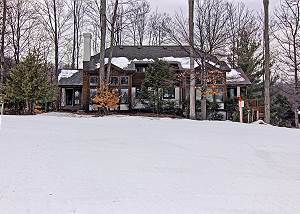 Location is great, True ski in/ski out without having a lot of traffic around you. Condo was well equipped and Renee was very helpful. An excellent experience. Most of the time, pictures can make a condo look better than it really is in person. The opposite was true with this spotlessly clean, tastefully decorated gem that sits right on a mountain where a glorious sunrise pours into the floor-to-ceiling windows. The fireplace turns on with a light switch (how cool is that?) 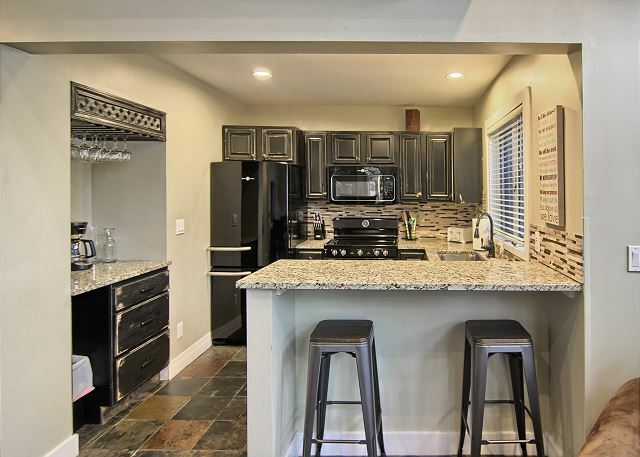 and the kitchen is well-appointed with everything you need for cooking. Every bed is comfortable, every towel looks brand new, and my only complaint is a weak shower spray but there's probably not much they can do about that. 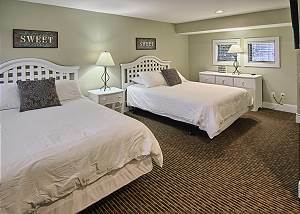 The staff was pleasant, accommodating and always available no matter what we needed. Be prepared for slight depression when you leave this place because it's truly paradise. Also, enjoy the 57 steps up to the front door. It's not as bad as one would think. I enjoyed the exercise, and knew it was worth the climb every time! very happy with condition and cleanliness of condo. Management was great to work with and has good communication. This was our annual kids/family ski weekend and our second time at this up/down condo. This place worked out very well, plenty of zones for napping kids and watching tv, and dinner time places to seat children. the ski hill is a great tewnty steps from the door, could easily watch them go down the hill from inside. the door handles on the fridge ar a bit inconvenient being placed on the wrong side. The wiFi was a little sketchy, had to keep jumping on the village wifi. All in all it is still the best place on the hill for us considering all other options, as a truly ski in ski out. The closed loft upstairs is a rare find among the hillside condos. Simple furnishings give us lots of room for our stuff. Renee was very available for any help we needed. Found everything we needed in the kitchen except for a soup ladle and we did cook every meal while we were there. Thanks for a great spot for our family vacation! We were a group of 9 (2 families with a total of 5 kids: age range of 7-11 y.o) staying for 5 nights from Feb 14-20 for a Ski vacation. 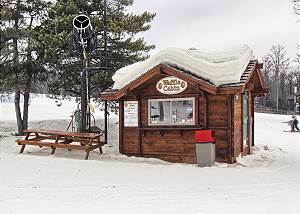 PROS:- True Ski in/ski out on a green hill (so good for all ski-levels)- Lots of kitchen utensils/pans/plates/etc- clean and roomy- large water heater, so you won't run out of hot water for showers- Were not bothered by renters in unit below/next to us.CONS:- very steep (and high number) of stairs from parking to front door: would be difficult for older/physically challenged individuals. Difficult to carry large luggage/boxes of food up these stairs. - This condo is "at the top" of the condo road, so great views, but is also a moderate walk (300 yards) from condo to the resort restaurants/Grand Mountain lodge (where most "activities" occur once skiing is done for the day/lifts are closed). Boyne does offer a shuttle to take you from the condo to the resort, but it is usually at 15-20 minute wait. This condo has everything you need, and best of all is slopeside making it a great time for the entire family, skiing from open to close! You can swoop in for a quick lunch and head on out again with ease. The condo was so nice and exceptional very clean. Excellent condition and very well maintained. The kitchen was very well stocked with dishes,pans,silverware . All I can say is we will be back . Thanks for the great stay . Rented the condo for a family wedding weekend in Boyne City, Mi. 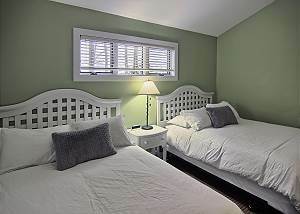 Great location,beautiful setting.Very comfortable,upgraded unit accomodated 6 adults and 2 kids very comfortably. Only downside is the 57 steps from parking to the unit. Slippery when wet, a pain to unload and load vehicles. The property was beautiful, clean and well stocked with everything we needed--from dishes to hand and laundry soap! We found the staff very courteous, and quick to respond to our minor issue (cable on the main living area television). Our only issue with the property was the location. This unit is in the very back of Disciples Village--at the top of the bunny hill. A great location for winter skiing, but we were far from the pool and the 58 steps were daunting when carrying in our food and suitcases. Aside from this MINOR inconvenience--we loved our stay! 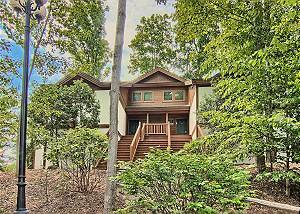 Beautiful little condo amidst beautiful scenery and nature! Close to everything we wanted to see and do . Felt like a home away from home. I might just mention all the stairs to get to the condo . If you have elderly or young children might make it more of a challenge, but we welcomed the exercise! Would definitely come back! We used this location for a girls weekend in July. There are a lot of stairs up to the condo which would be a concern if you were looking to stay here with someone who has mobility issues. The condo itself was very clean, lights were on to welcome us, they had everything a person could need in the kitchen with the exception being a blender (although not everyone *needs* that). There is a wine cooler which was pleasant surprise. There is not a dvd player which for many is not a concern but was a bit of a bummer for us. Other than those few heads up we had a lovely stay and would absolutely rent again. Three couples rented this condo in July. 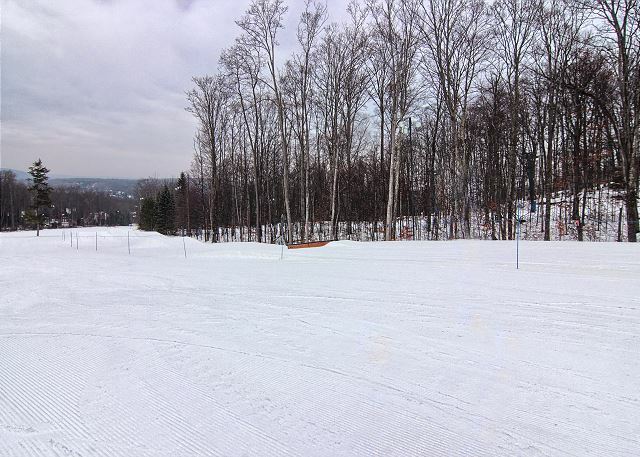 Boyne Mountain is a fantastic spot for all ages. The unit was clean, though in need of a little updating. The kitchen towels and utensils could also be increased. There weren't enough dish towels in our opinion.The upstairs bedroom suited the occupants, but the downstairs occupants complained about the discomfort of the mattresses. Again, this unit could use some updating.Overall, we recommend this unit. The rental company representative was supposed to meet us at the unit upon arrival, but at the last minute she said she could not. We had to call the representative to send someone to fix the a/c, but that issue was taken care of very promptly and to our satisfaction. The location was just excellent. Out the back door and on the slopes. The facility was as advertised. It is a bit dated and needs some repairs but everything functioned just fine. It was very clean except for the pans and dishes--they were not clean, which was a disappointment to us. That is a minor issue to resolve and all-n-all, I would recommend staying here. 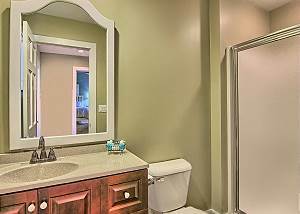 Condo was as described and in great condition! 12" of fresh snow made this true ski in ski out location perfect for our 3 boys to stop back at the condo when they needed to warm up. Condo was very clean and well appointed. No complaints and Deb was great to work with. Lots of stairs to climb as this unit is up on the hill but overall a great experience! My family had a great vacation. The condo was beautiful, with all the upgrades. We had plenty of room in the 3 bedroom condo. The children enjoyed the Smart Tvs. I will definitely visit again and recommend to family and friends. Price was very reasonable. Thanks for the beautiful vacation condo. Thanks for the feedback Keila, we look forward to seeing you again soon.